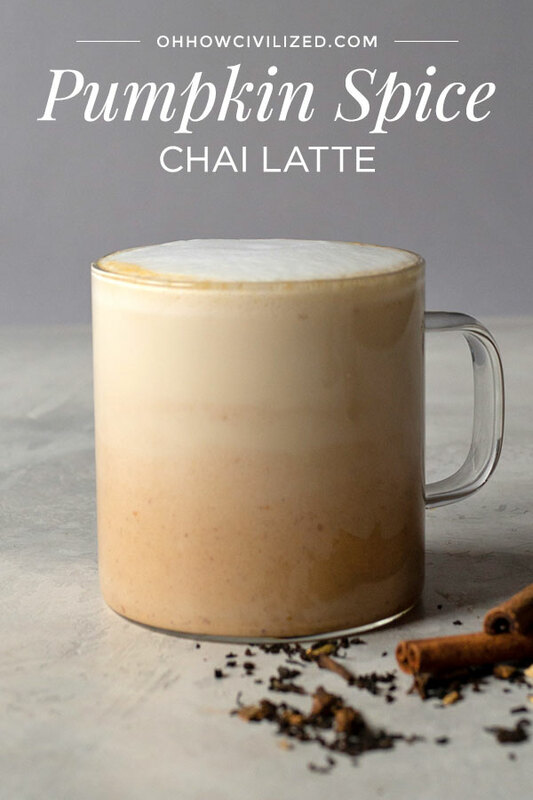 Warm up this winter with a pumpkin spice latte made with chai (instead of coffee), pumpkin spice, and pumpkin purée. Nothing ushers in cooler months more than the introduction of Pumpkin Spice Latte at Starbucks. Oh, but you want yours with chai instead of coffee, AND made with REAL pumpkins, AND your own blend of pumpkin spices? I got you. 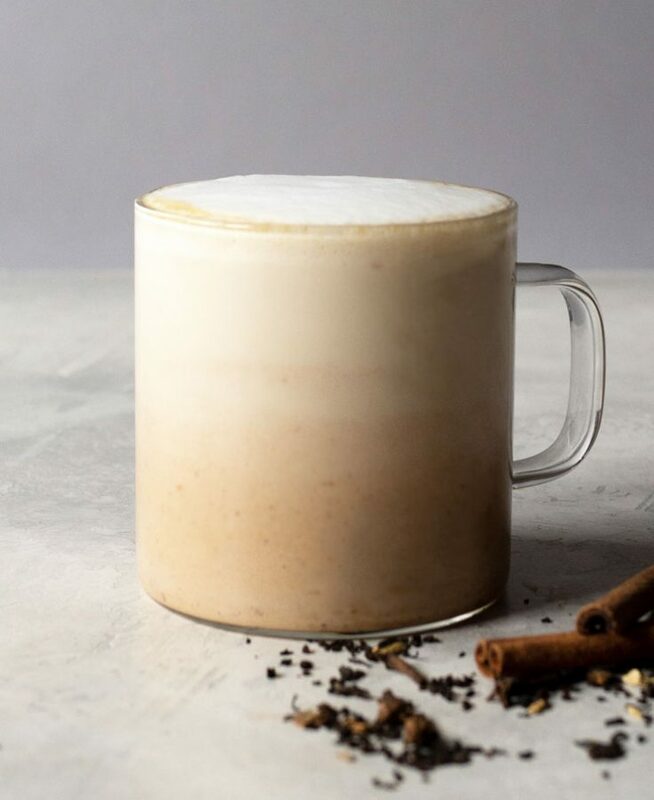 You’d be surprised at how easy it is to make pumpkin spice chai latte at home. As someone who has made this recipe six times trying to get the perfect flavors of fall, I can tell you, it’s really simple to make. Pumpkin puree, which you can buy in a can, a blend of pumpkin spices (homemade! 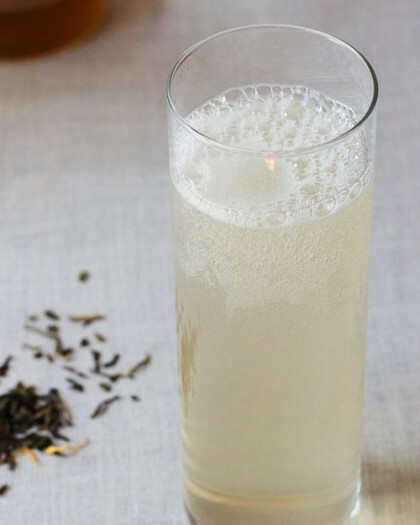 ), and chai makes up the essential flavors of the drink. I bring it up a notch with sweet brown sugar and vanilla extract. 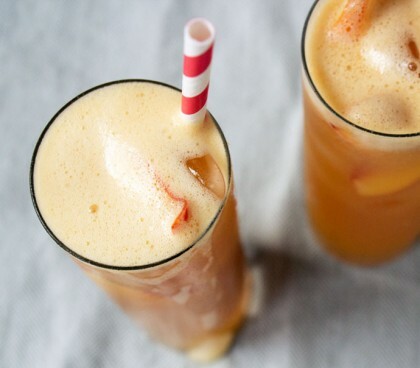 It’s basically pumpkin pie in drink form. What is pumpkin spice? 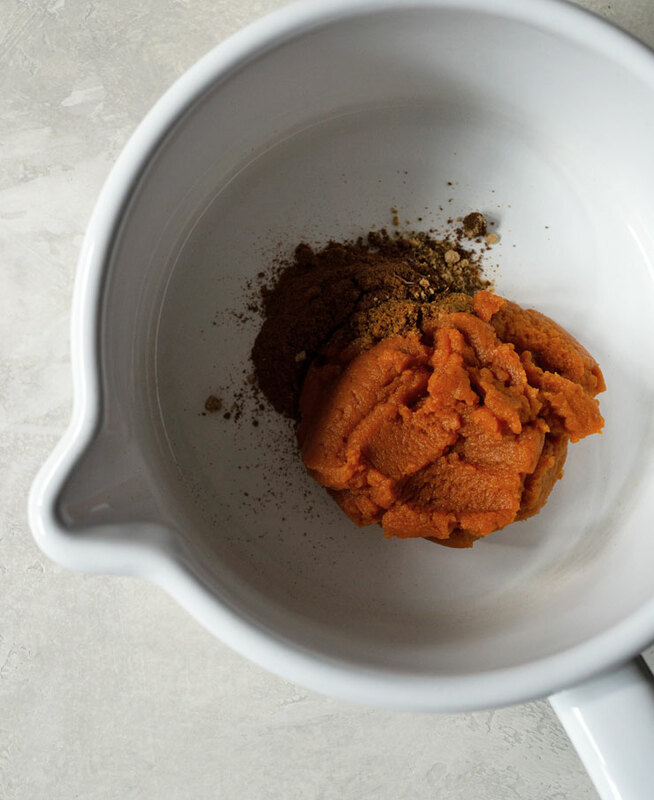 It’s a blend of ingredients that are usually used to flavor a pumpkin pie. 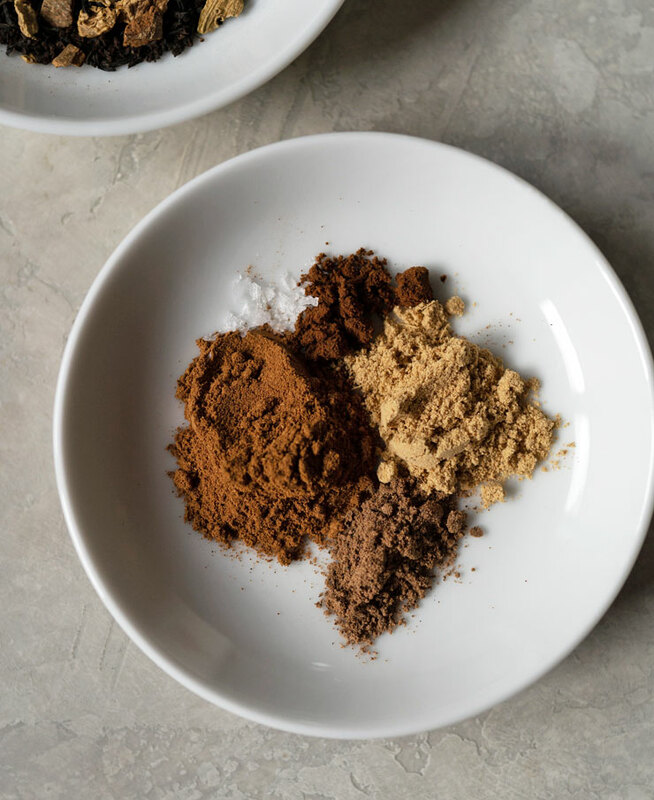 There are four spices that make up pumpkin spice and they are: cinnamon, ginger, cloves, and nutmeg. I played around with the ratio of each spice. 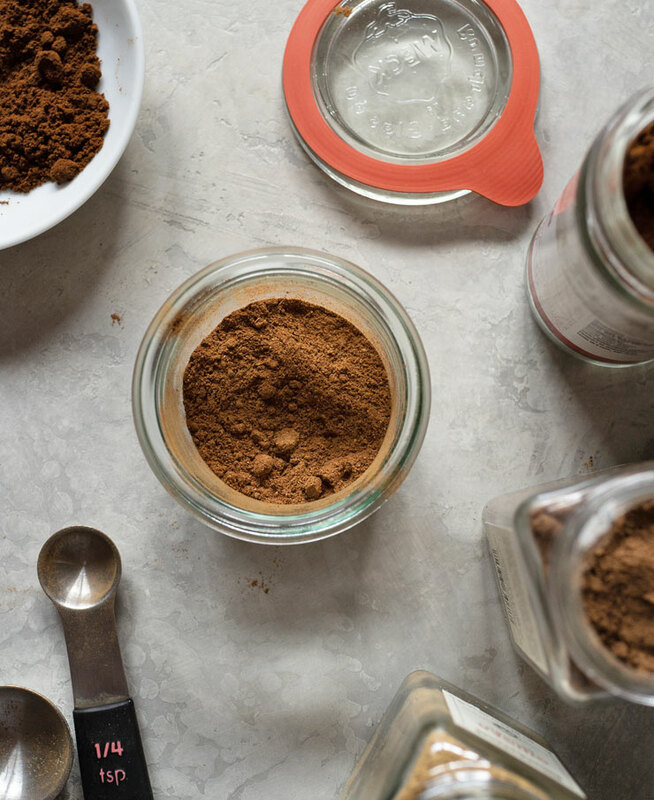 Keep cinnamon as the main ingredient with ginger, cloves, and nutmeg as supporting flavors. The pumpkin purée in the can is cooked pumpkin, so I just scoop out the purée and mix it with the pumpkin spice blend right in the saucepan while the heat is on low. I like to add a little salt to boost the savory and sweet flavors. Always, always, always use this salt since you’ll be amazed how much better it’ll make your food taste. For this recipe, make sure the heat is ALWAYS on LOW throughout. 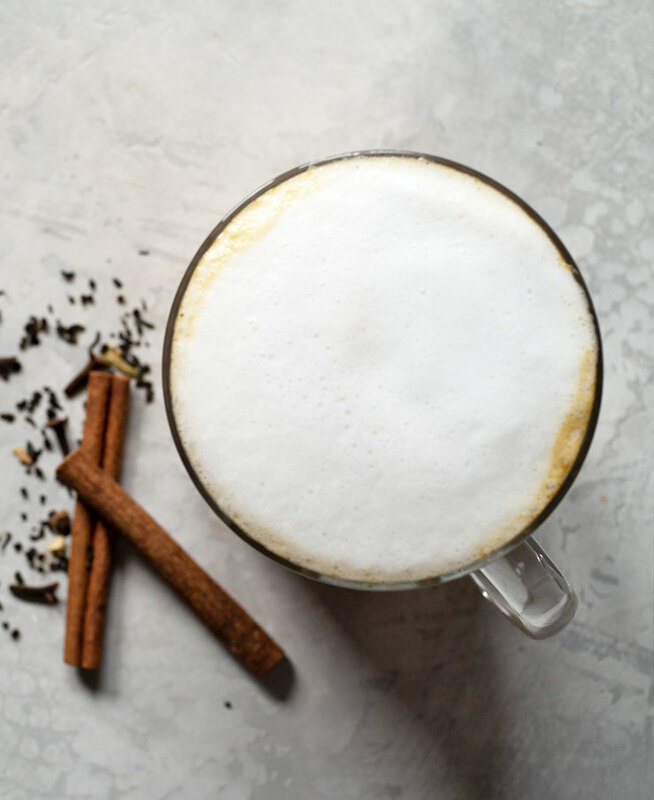 It’s all about the simmer with lattes. Add your milk and chai in tea bags. 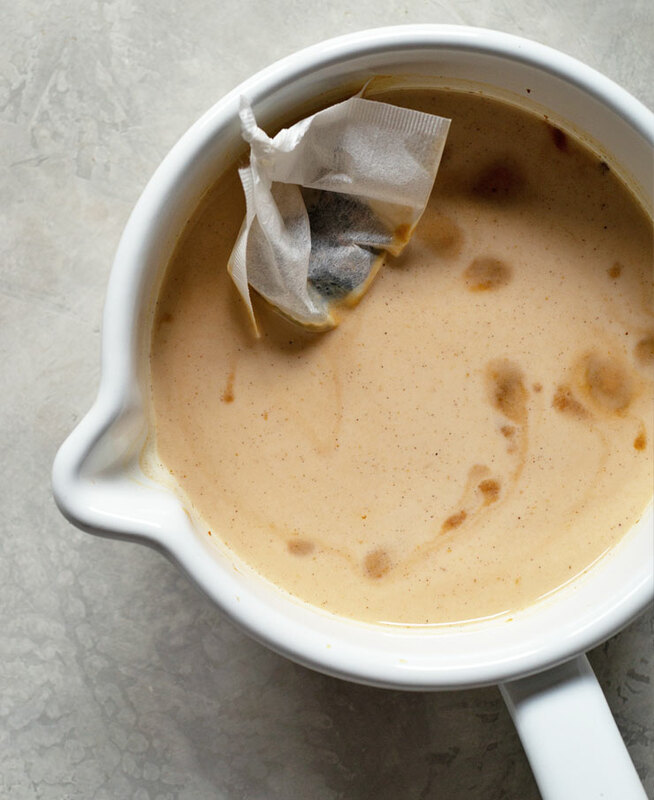 In other tea latte recipes, I like to dump the loose leaf tea right into the milk so that the tea leaves have a lot of room to unfurl, but for this recipe only chai in tea bags will work. Due to the pumpkin purée, it’s impossible to strain out just the tea from the liquid. Brew the tea for five minutes on the stovetop with the heat on low. I like to use a whisk to break up the pumpkin purée completely. Keep stirring and whisking. 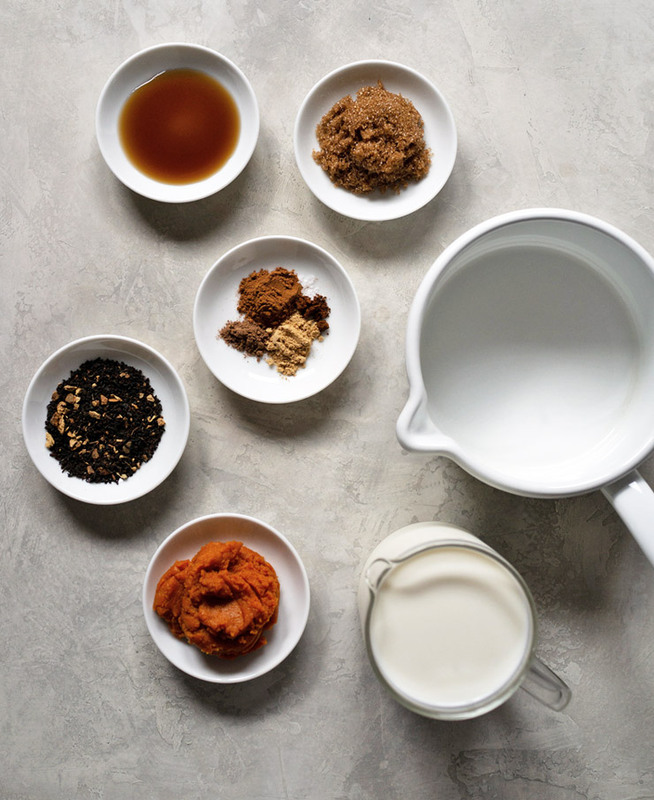 Once the five minutes are up, take out the chai tea bags and add the vanilla extract. You’re done. 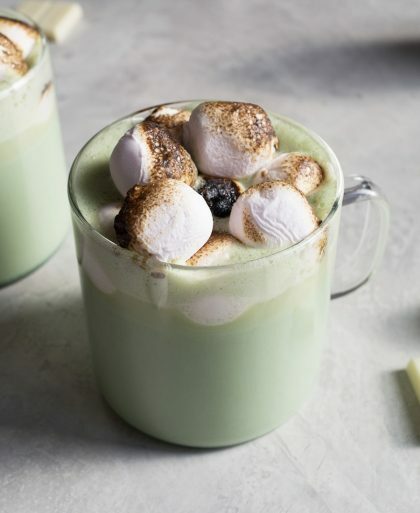 Grab two mugs and you’re ready to enjoy this warm and toasty drink. If you want to get a nice white layer of milky froth on top of your drink as I’ve done here, there’s one extra step. A toasty warm drink perfect for the colder months. 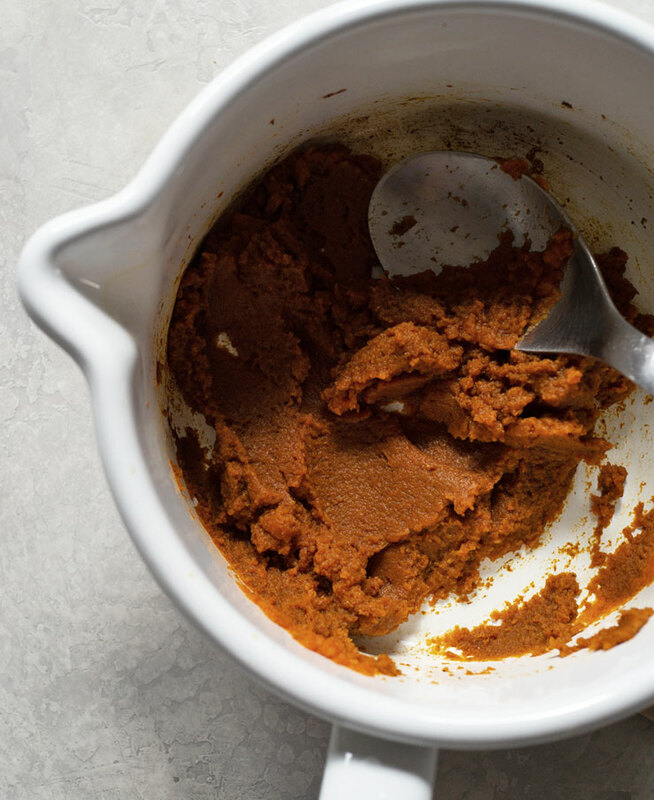 In a saucepan, mix on low heat the pumpkin puree, cinnamon, ginger, cloves, nutmeg, and salt. Add milk, brown sugar, and chai tea bags. Brew chai for five minutes on low heat. Keep stirring with a whisk until pumpkin puree is completely incorporated into the milk. Take off heat and discard the chai tea bags. To add a layer of frothed milk on top of the drink, simmer on low heat 1/3 cup of milk until milk is hot. 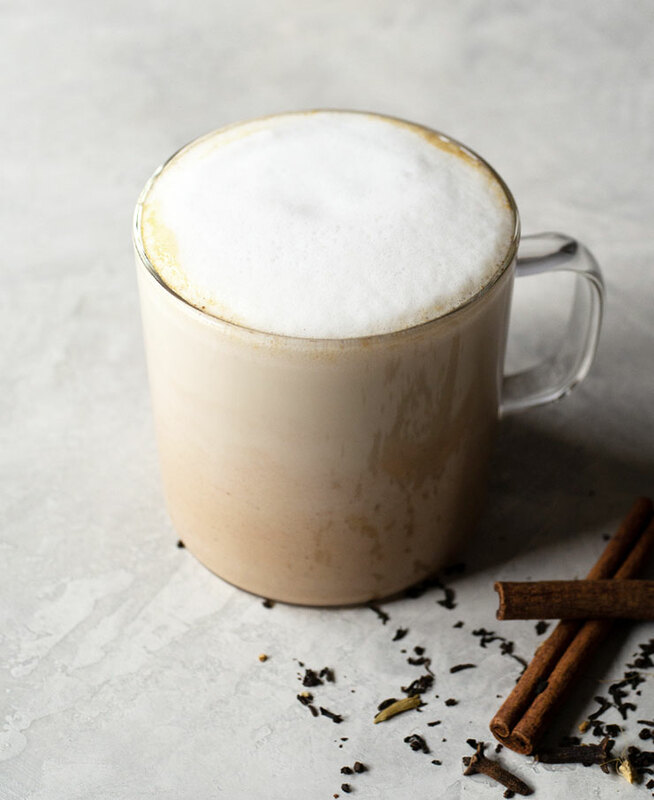 Whisk milk until froth forms and spoon or pour onto the pumpkin spice chai lattes.